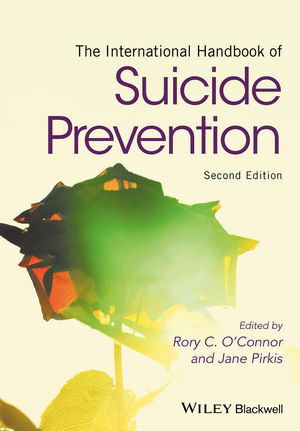 The International Handbook of Suicide Prevention, 2nd Edition, presents a series of readings that consider the individual and societal factors that lead to suicide, it addresses ways these factors may be mitigated, and presents the most up-to-date evidence for effective suicide prevention approaches. Rory O'Connor is Professor of Health Psychology at the University of Glasgow and Past President of the International Academy of Suicide Research. O'Connor leads the Suicidal Behaviour Research Laboratory at Glasgow, one of the leading suicide and self-harm research groups in the UK. He has published extensively in the field of suicide and self-harm, and is also Deputy Chief Editor of Archives of Suicide Research, an Associate Editor of Suicide and Life-Threatening Behavior, and a member of the editorial board of Crisis. Jane Pirkis is the Director of the Centre for Mental Health in the Melbourne School of Population and Global Health at the University of Melbourne, and General Secretary of the International Association for Suicide Prevention. She has published extensively on suicide and its prevention.